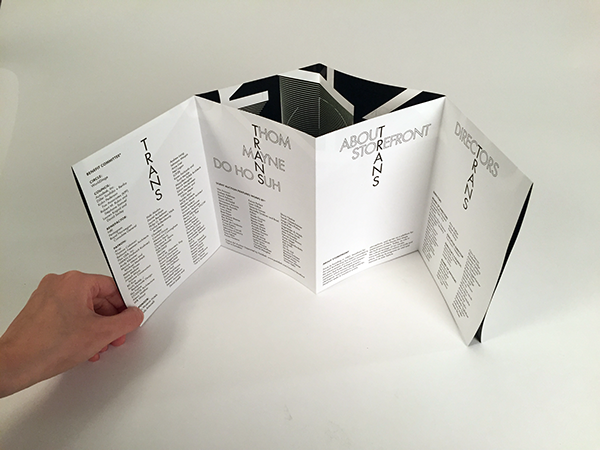 TRANS was Storefront for Art and Architecture's 2015 Spring Benefit event, honoring artist Do Ho Suh and architect Thom Mayne, internationally recognized figures who have participated in Storefront programming throughout the years. 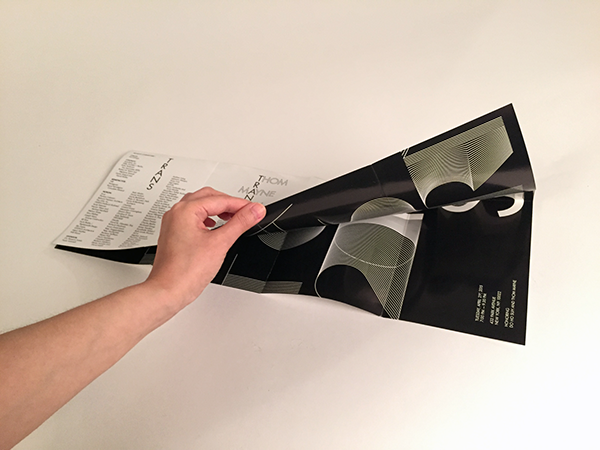 The benefit was centered on the theme "TRANS," emphasizing collaboration and innovation across cultures, disciplines, geographies, and ideologies. 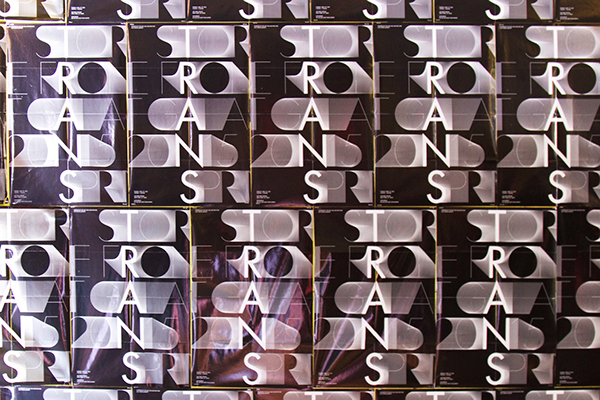 The identity orients the word "TRANS" at the vertical center of a mesostic wordmark, which anchors horizontal titling on posters, print materials, and graphic animations. A series of animations inspired by words containing the thematic prefix—transform, transversal, translucent—superimposes layers of lines and dots to create abstract, oscillating patterns. 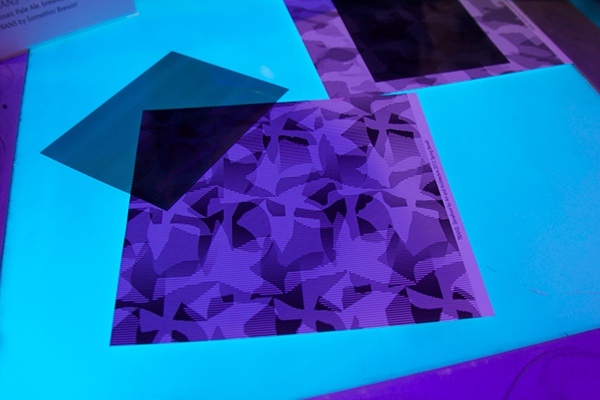 These layers were also printed on colored acetate sheets, which attendees could rearrange atop light boxes installed at the event. 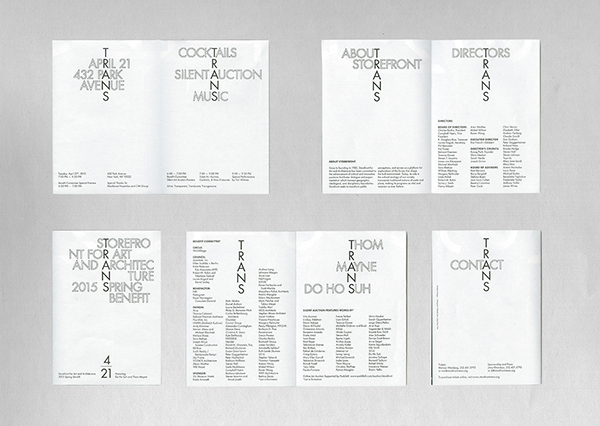 TRANS was Storefront for Art and Architecture's 2015 Spring Benefit event, honoring artist Do Ho Suh and architect Thom Mayne, internationally recognized figures who have participated in Storefront programming throughout the years. 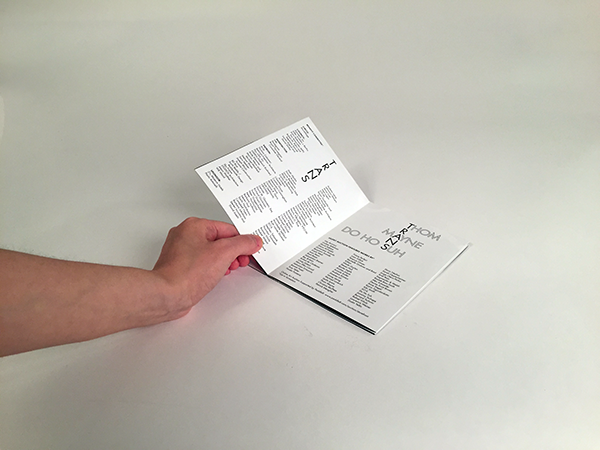 The benefit was centered on the theme "TRANS," emphasizing collaboration and innovation across cultures, disciplines, geographies, and ideologies. 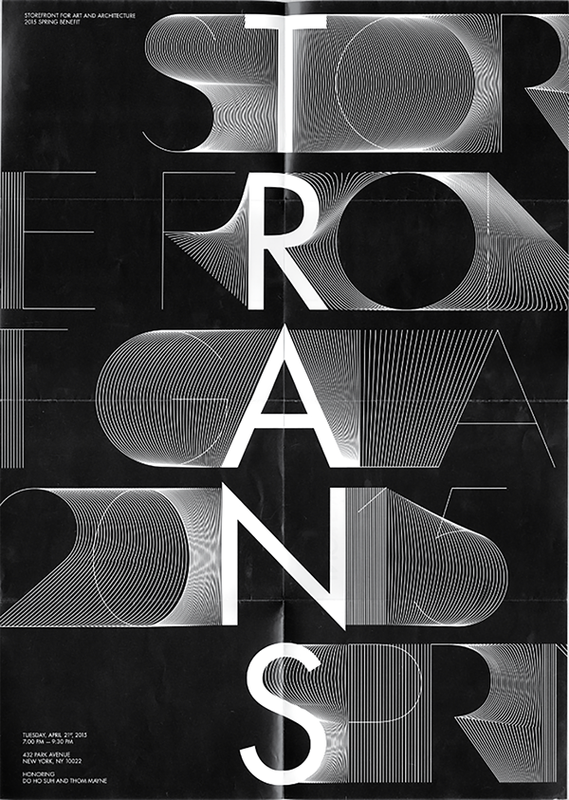 The identity orients the word "TRANS" at the vertical center of a mesostic wordmark, which anchors horizontal titling on posters, print materials, and graphic animations. A series of animations inspired by words containing the thematic prefix—transform, transversal, translucent—superimposes layers of lines and dots to create abstract, oscillating patterns. 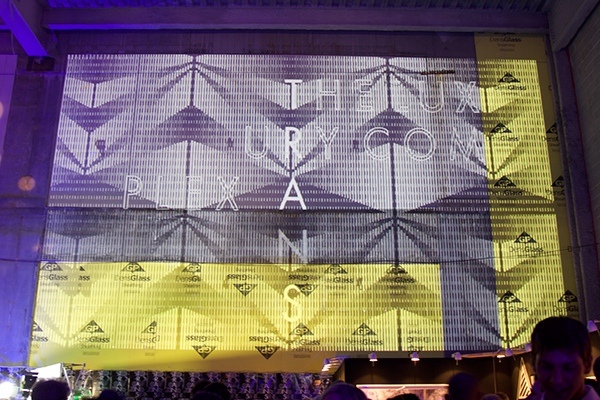 These layers were also printed on colored acetate sheets, which attendees could rearrange atop light boxes installed at the event.